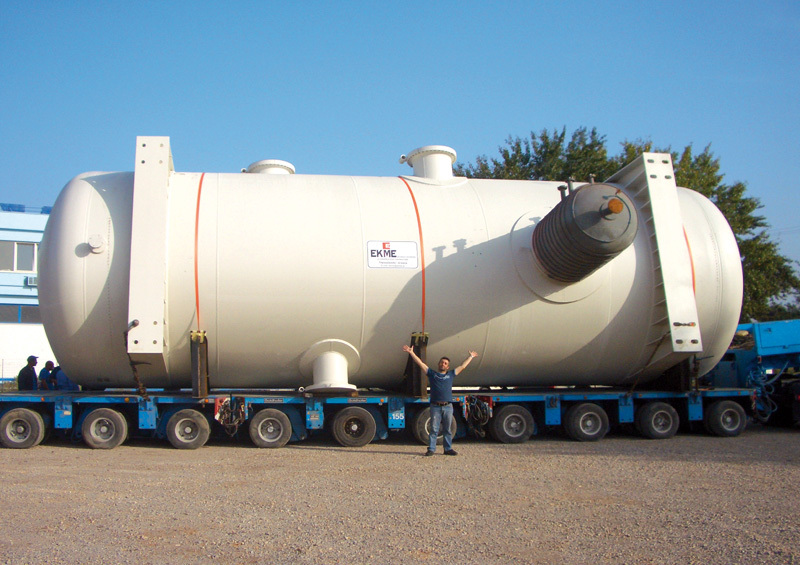 EKME’s long experience in Pressure Vessel manufacturing spans three decades with more than 310 items having been fabricated in this period. 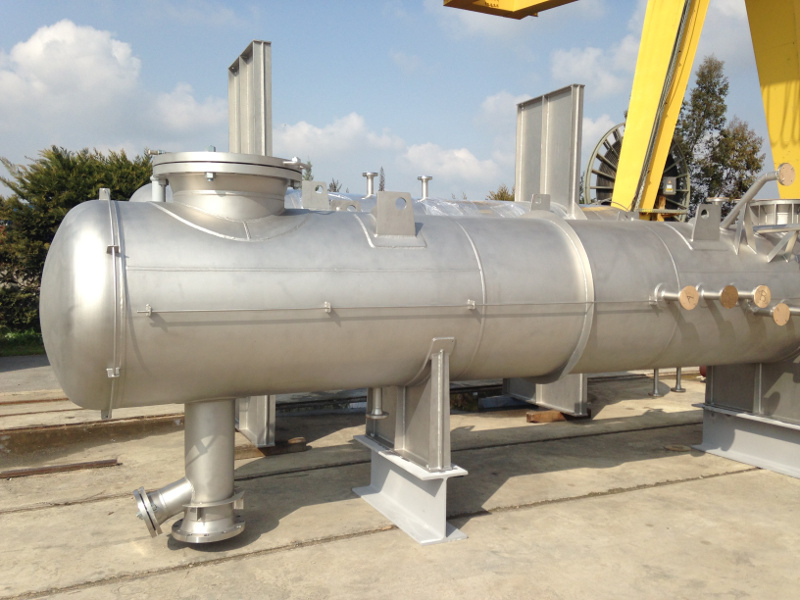 The Company has evolved from simple LPG tank and LP drum manufacturing, to the largest supplier of pressure equipment for the Oil & Gas and other industries in Greece, and one of the largest manufacturers in SE Europe. 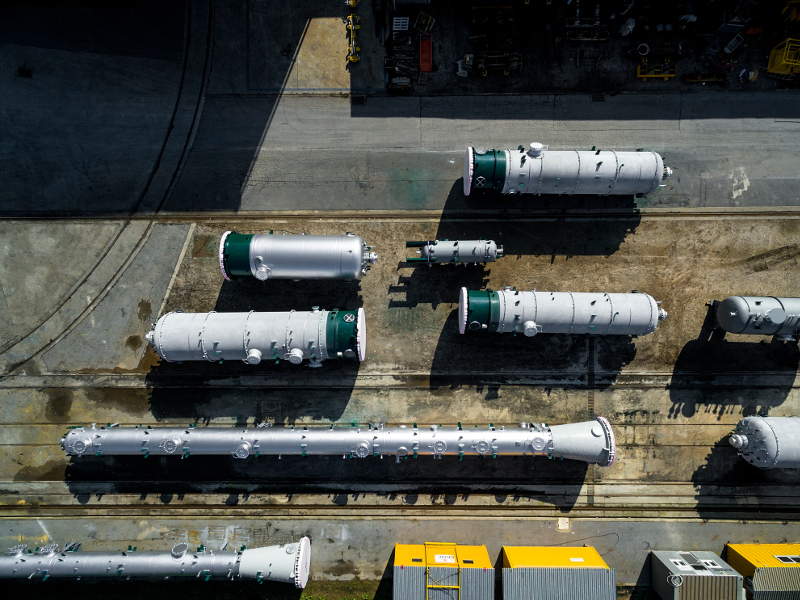 Through our Thessaloniki shop we can supply vessels of high specification requirements, of large diameter and length/ height, heavy wall thickness items with complex internal and external attachments and nozzle configurations. 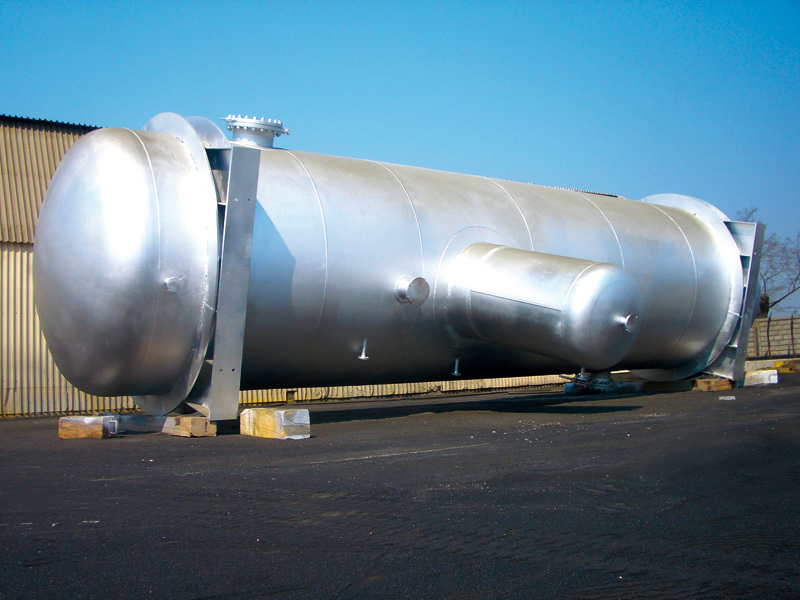 With an extensive experience in all material grades, vessels can be supplied in uniform or clad material, or in high alloy grades, the latter fabricated in specialized separate areas to prevent contamination. 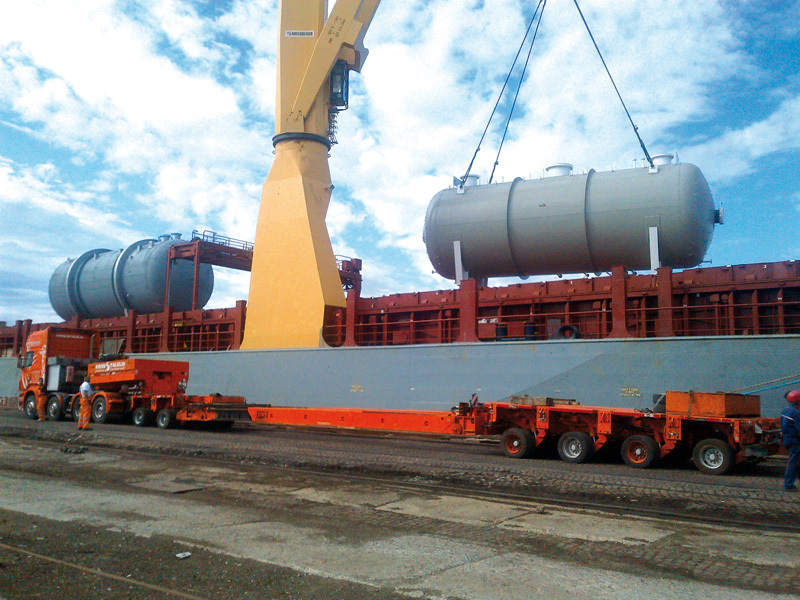 ISBL 2546 Project _ Supply of Pressure Vessels for PE3 Unit of Polyethylene Plant, Litvinov Technip Italy SpA Unipetrol RPA, s.r.o. 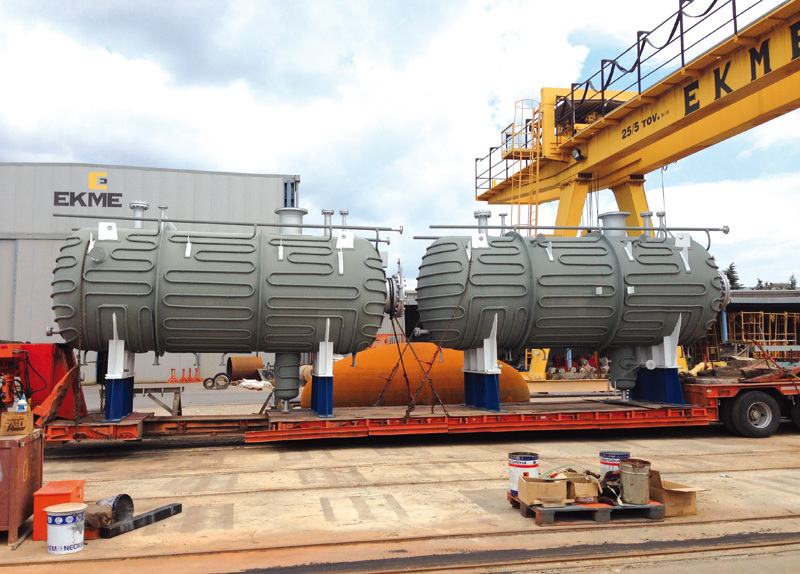 V3205 Main column overhead receiver MOTOR OIL (Hellas) Korinth Refineries s.a.